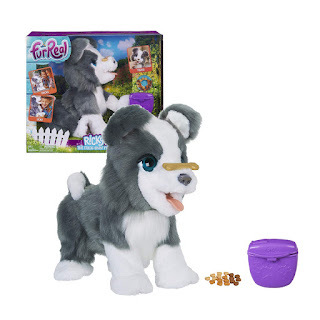 Amazon has the FurReal Friends Ricky, the Trick-Lovin’ Dog on sale for just $89.99 (regularly $129.99). Plus, right underneath the price is a coupon for $25 off, bringing the price down to just $65.99. Ricky, the Trick-Lovin’ Interactive Plush Pet Toy is ready to perform tricks, and is sure to entertain! This poseable pup can balance his bone toy on his nose… and with a voice command or loud sound, flip it into his mouth! Press his paw and he’ll respond by raising it for a friendly handshake. He’s so eager to do tricks, he’ll often shuffle his paws in sheer excitement. 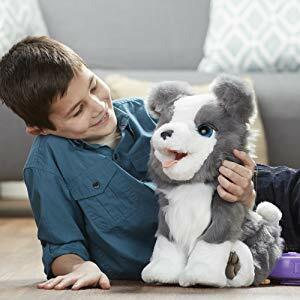 He gives affectionate doggie licks as well, and enjoys his play treats anytime.